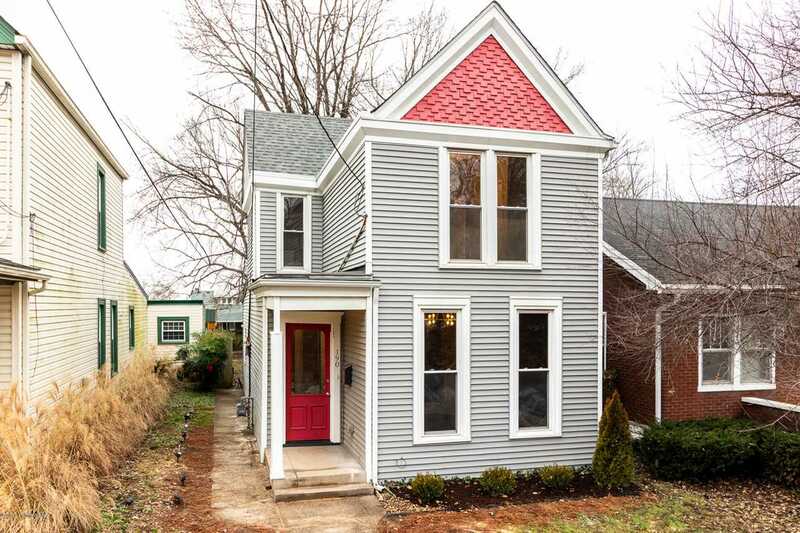 Located off Frankfort Avenue in Clifton, this 119 year old house is ready for someone to call it home. The house has been completely revamped and given a new life. This home features many original details, like the hardwood floors, molding, and fireplaces, but has been effortlessly blended with the conveniences of today. The open concept first floor now has plenty of room for entertaining, and boasts a brand new kitchen with stainless steel appliances and a beautiful marble island. Just off of the kitchen is a mud room and also a half bath. Upstairs there are two bedrooms with ample closet space, and a beautifully redone full bathroom. The back yard features a deck, a shed, and plenty of room to enjoy the beautiful Kentucky weather. Don't miss out - schedule a private showing today! Directions:I-64 to Mellwood, Right On Frankfort, Left on State St, home on left. SchoolsClick map icons below to view information for schools near 190 State St Louisville, KY 40206.